In need of comfort food? 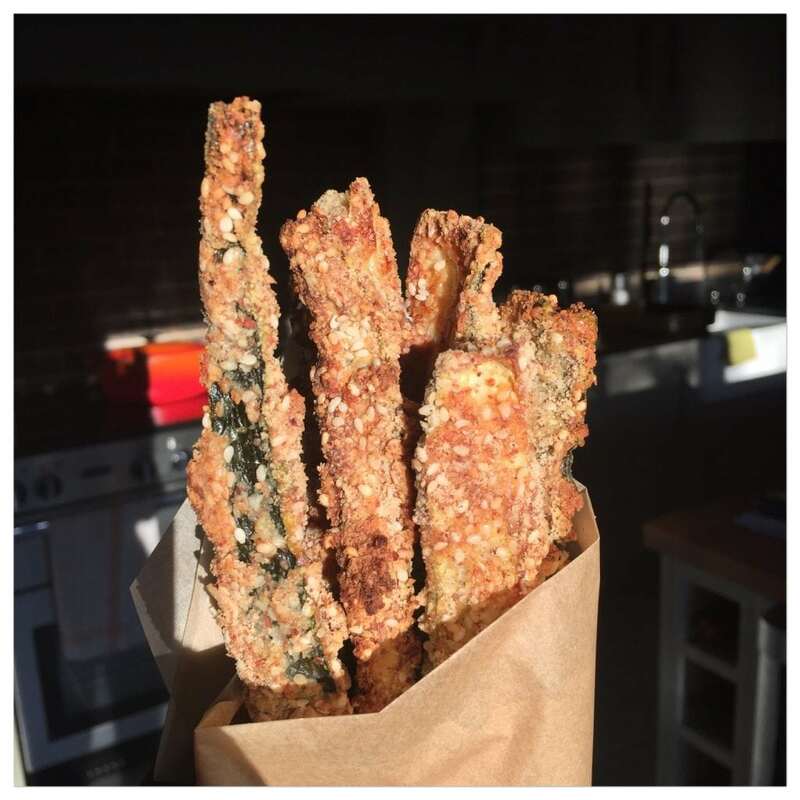 Try my almond & sesame crusted baked courgette sticks! These are crunchy, yummy, healthy and soooo moreish! 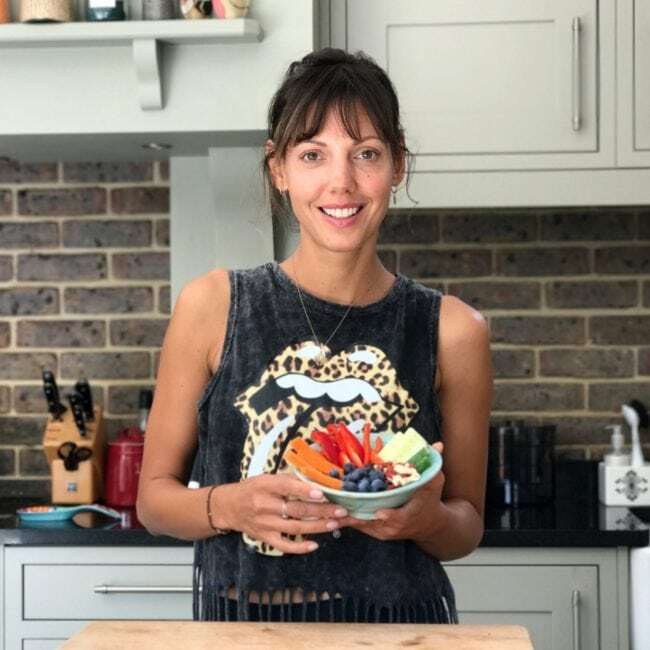 I often feel like something crunchy when I cook a bowl of quinoa risotto or a veggie curry but don’t always want to be serving these with bread. These baked courgette sticks are a great answer and if baked long enough to make them super crunchy you could even use them to dip into your favourite sauces or home made dips.They make lovely and eye catching starters too! Made with so few ingredients these are totally gluten free and unlike most crunchy things which are deep fried, this recipe uses very little oil! I use a spray oil for this recipe as it allows me to coat the courgette sticks evenly without using too much oil. I mix in sesame seeds as they are a great source of calcium and for someone like me, who has a very reduced dairy intake, they are a great add- on! In a generous sized bowl, whisk the eggs and season with salt, pepper and some fresh (any) herbs if you have. In another bowl, whisk together the almond flour and sesame seeds. Cut the ends off of the courgettes and then cut them in half – lengthways. Then cut each half into strips, trying to keep them similar sizes. Toss each strip into the egg first, then coat with the almond flour and sesame seed mixture. Season. Place on a baking sheet and allow the courgette strips to have a little bit of space between them. Bake for about 30 minutes, until golden brown on the outside. (might be longer depending on the size of the courgette strips.) Turn half way through. Yummy. Enjoy! Note: You can do the same for chicken strips and fish bites.